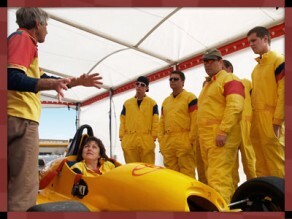 During the Classroom Briefing a professional race instructor provides training and instruction, allowing you learn the disciplines required to develop a winning driving technique, and ultimately, to compete in a Formula 101 open-wheel racecar. 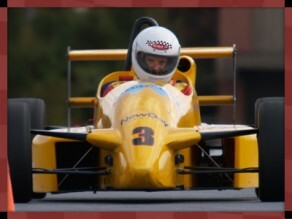 During the Tech-Talk you are fitted to a Formula 101 car. You are instructed in racecar start up procedures, foot and peddle placement, shifting, pit lane operations, and safety procedures. 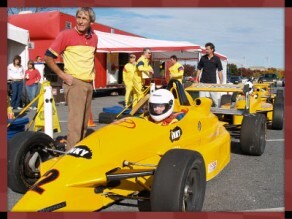 A Formula 101 instructor takes you on a track tour where you get a birds eye view of each track. You are shown the best driving lines and how to negotiate each turn; including, breaking zones, corner entry points, shift points, apex locations, and corner exit techniques. with your helmet on, ready to race. 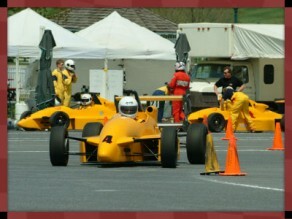 You are belted into your car by the Formula 101 pit crew, and you are ready to start your first practice session. Ready to fly an inch above the ground! you finesse your racecar through the long high-speed left hand sweeper, then down into the decreasing radius corkscrew and out onto the straightaway, flat out each lap. During the break between lapping sessions you take some time to review your driving technique, and you have time to share your excitement with your guests. The common goal of self improvement creates an environment that is perfect for building strong relationships with your clients or fellow employees. After a short break and refreshments, you are back on a different track for a second practice session, consisting of 10 to 12 laps. 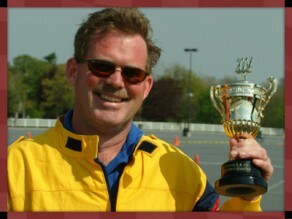 You put into practice what you have learned, with the goal of achieving your very best lap time. Time for the Formula 101 Shootout Competition! You’re back in a racecar for a third session, only this time it’s a timed competition. The winners from each track are crowned track champions, with yet another chance to go head-to-head for the title of Formula 101 Grand Champion. Come casually dressed- jeans and shorts are acceptable. 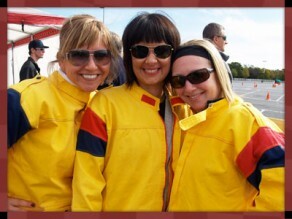 We provide all the gear; racing suit, shoes, and a full-face helmet. There are plenty of light refreshments and catering is available. Bring your camera and come prepared to have the time of your life!